It's hard to pick your favourite thing about Hahndorf Hill Winery. It could be the logs burning in the fireplace during winter, or the chocolate tastings complementing the wines, or of course the selection of Adelaide Hills' wines. 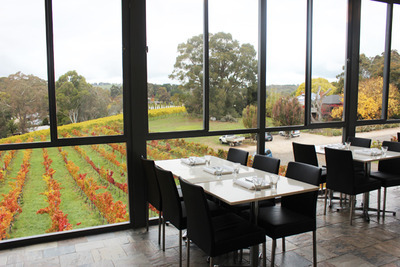 The cellar door is located just outside the Hahndorf Village, open 7 days a week from 10-5. 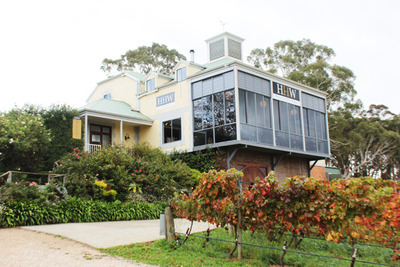 Drive past the rows of vines and you'll come across the stairs to the Hahndorf Hill cellar door, featuring it's interesting glass walled tasting room. The cellar door is warm and inviting, especially during the winter months when it is cold and wet outside. 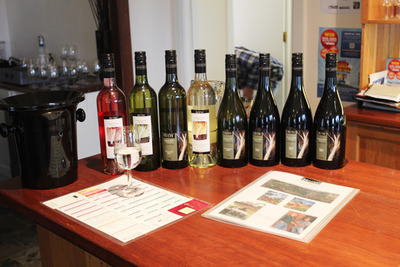 There is a large range of different wine varieties, taking advantage of the Adelaide Hills region and climate. One of the most notable varieties is the Gruner Veltliner, also known as the GRU. On the Hahndorf Hill Winery website you can follow a blog sharing the process of the next GRU vintage. You can also join the exclusive GRU mailing list to be notified when the wine becomes available, as it can completely sell out one announced. A highlight of the winery is the ChocoVino Experience. This is a tasting currently exclusive to the Hahndorf Hill Winery. 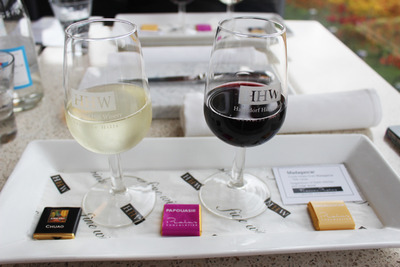 You can choose between a selection of chocolate and wine pairings, and learn about chocolate tasting techniques and the unique way that chocolate and wine go together. Larger groups can take advantage of the group tasting program. You'll be taken to your personal tasting room, and have a tasting experience tailor-made for your group. The group tastings are $22 per head, but each participant will also get to take home a complimentary bottle of wine. Group tastings need to be booked in advance. It's not particularly surprising that Hahndorf Hill Winery is a winner of multiple awards throughout the years. The people working at the cellar door are knowledgeable about all of the wines, and about the many aspects of the winery. It's a great addition to your next trip to Hahndorf or to any wine tour through the Adelaide Hills.